Make this home yours by choosing interior colors/features! Hurry before it's too late! 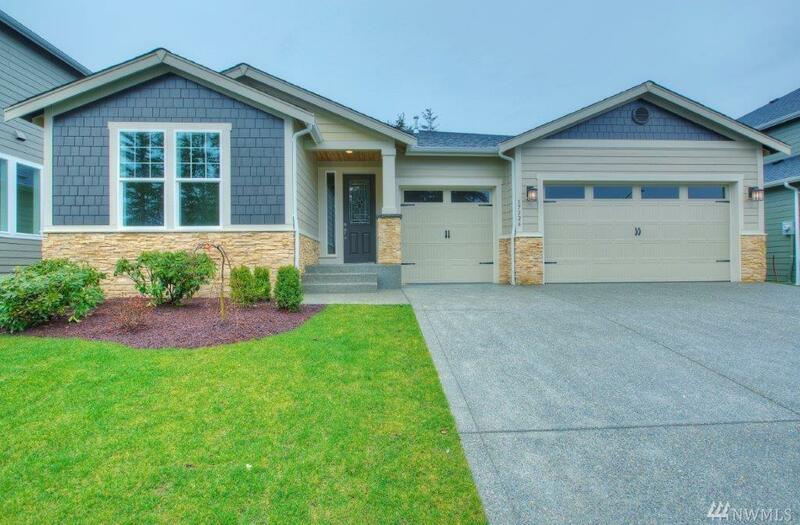 This beautiful 2,289 SQ FT rambler boasts a spacious master suite w/ a spa-like master bath w/ soaking tub. Spacious kitchen w/ granite countertops, full tile backsplash, SS appliances & double ovens. Huge dining nook & large family room w/ gas FP & built-in entertainment center. Covered outdoor living area w/ gas FP! Other features: 3 car garage, utility sink & more! Front yard landscaping w/ irrigation.